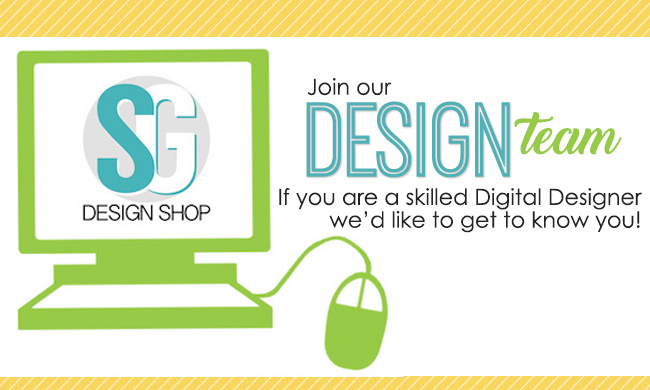 Do you want to become a digital designer at SG Design Shop? If you are an experienced designer of scrapbooking products or digital graphics you could become a digital designer for our store! We are always interested in adding new talent to our team & would love to hear from YOU! Read below to learn more about what we are looking for and how to get in touch. How many products you would plan on releasing each month? How you currently market your design work? Please include any links to your social media profiles, blogs, or websites, you use for this. Please provide links to any stores or websites that show your work. If this is not available, please attach 3 of your favorite kits or products and 3 of your favorite layouts that showing off your recent products. Have a knack for teaching others how to use Photoshop? You could be a perfect fit for our team! Please send us an email with a few samples of your work.